The Questionnaire for Situational Information (QSI), administered by the agency, provides a way to determine the level of need for the individuals they serve. The nature of the assessment requires the 10-year old test to periodically undergo its own evaluation. This year, the Quantitative Methods and Innovation division of the Florida Center for Reading Research, in collaboration with the College of Social Work, will be evaluating the next generation of the QSI assessment. The goal of the two-year contract with APD is to measure the assessment’s reliability and validity, then provide an overall psychometric evaluation of its content. 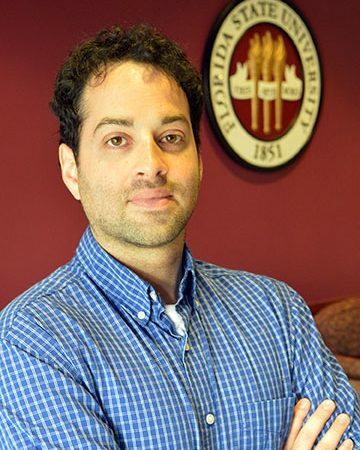 To accomplish these tasks, Yaacov Petscher, associate professor of social work and director of the Quantitative Methods and Innovation (QMI) division, has assembled a cross-section of talent from throughout the College of Social Work, each bringing their unique expertise to the table. Assistant Professor Lisa Schelbe, a qualitative methodologist, will lead the qualitative component of the evaluation, along with Assistant Professor Jeffrey Lacasse, who has expertise in medical social work. Assistant Professor Michael Killian will lend support to the quantitative and statistical modeling of the assessment scores. Petscher will spearhead the psychometric evaluation. “Given our division’s experience in supporting development of the Florida Assessments for Instruction in Reading in partnership with the Florida Department of Education and the Reading Assessment for Prescriptive Instructional Data with Lexia Learning, this felt like a natural extension of our work,” Petscher said. In addition to showcasing QMI’s methodological expertise, the project also highlights the partnerships that make FSU a pioneering institution for multidisciplinary innovation.